We’ve all heard the old adage “Money doesn’t buy happiness”, and most of us roll our eyes as we lick our lips at the thought striking it big with a $100 million lottery jackpot. But every once in a while, the notion that money can’t make you a happy person rings dreadfully true. In the case of these individuals and their stories, winning the lottery was probably one of the worst things to ever happen to them. These stories are tragic and should serve as a brute reminder that money is not everything in this world. With this said, here are the stories of 10 lottery winners who lost everything, in no particular order. While few are lucky enough to win the lottery, even fewer people are lucky to win the lottery twice. 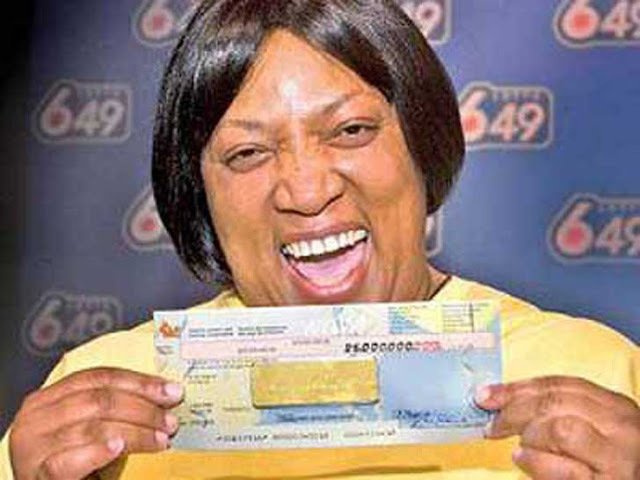 But, this happened to Evelyn Adams of New Jersey who won the New Jersey Lottery twice over the span of a few months through 1985 and 1986. The chances of this occurring are around 1 in 17 trillion. Her combined prize earnings came out to be about $5.4 million. Evelyn chose the annuity option to receive her winnings on a yearly basis. Unfortunately, Evelyn was a compulsive gambler who spent it has fast as she could it. She would also give large sums of money to her friends and family. The deadly combination of these two things led to her losing her entire fortune by 2001. At this time, Evelyn was out of money and living her life inside a trailer. William ‘Bud’ Post was born on April 5, 1939 and was the winner of the 1988 Pennsylvania Lottery worth $16.2 million. Bud chose to receive his winnings annually, which came out to about $500,000 per year. Within the first few weeks of that first paycheck, Bud had spent $300,000, and after three months, he $500,000 in debt. Some of the things he purchased with his winning money was a car lot, a restaurant, and even an airplane that he never flew. Eventually he had a falling out with his own brother, who decided to order a hit on both Post and his sixth wife and have them murdered for the inheritance money. Luckily, both survived, and the brother was arrested, although Post was eventually sued by his sixth wife for one third of the winnings. Willie Hurt received $3.1 million from the Michigan Lottery in 1989 living out of Lansing. Like many, Hurt chose to receive his payments annually. After just two years, Hurt was going through a divorce and eventually lost custody of his children. He began to lose much of winning by spending it on his addiction with crack cocaine. During this, Hurt was staying with his girlfriend at a rooming house, where they went on a two day long drinking and smoking binge. After not being able to find more crack cocaine, it’s alleged the couple began arguing, and after his girlfriend was later found dead from a gunshot wound to the head, Hurt was charged with murder. Janite Lee won $18 million in 1993. She decided to receive 20 annual payments of $620,000. For eight years after, she lived a good life. She moved her family into a big mansion inside a nice gated community, gave money to charities and educational causes, ate dinner with world leaders, and even had a reading room at Washington University’s law school named after her. But through a series of mysterious circumstances, Lee was forced to file for bankruptcy in 2001 with only $700 left in her bank account. It appears that much of her wealth was lost through political donations and non-strategic investments. 5. Billie Bob Harrell Jr. In 1997 Billie Bob Harrell Jr. used Quick Pick numbers to hold the winning ticket for the Lotto Texas jackpot worth $31 million. At the time Billie Bob was down on his luck working at for Home Depot in Harris County, Texas. Every Wednesday and Saturday he would scrape together what he could to purchase lotto tickets, normally using the sequence of his children’s birth dates for numbers, sometimes letting the computer choose the numbers for him. Eventually one of those random selections paid off.